Advance registration is open for the School Safety and Security Seminar, newly offered this year in conjunction with the 2016 Joint Annual Conference in Chicago. 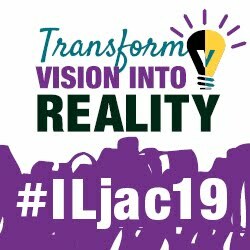 The Joint Annual Conference is the annual gathering of the Illinois Association of School Boards (IASB), Illinois Association of School Administrators (IASA), and Illinois Association of School Business Officials (Illinois ASBO). All attendees are invited to add the School Safety and Security Seminar to their Conference plan this year. In addition, school districts are encouraged to invite other personnel, including safety professionals outside of their school district. Invitees include school board members, school superintendents and principals, school resource officers, school security directors/coordinators, emergency responders, local emergency management agencies, and safety professionals who work with school districts in preparing and carrying out security procedures. The fee for the half-day School Safety and Security Seminar is $140 in advance, $190 on-site, and includes a continental breakfast. In addition to the School Safety and Security Seminar, a strand of school security-related panel sessions will be offered during the Joint Annual Conference. Click here for more information and registration details for the School Safety and Security Seminar. Separate registration is required for the Joint Annual Conference. Click here for details.